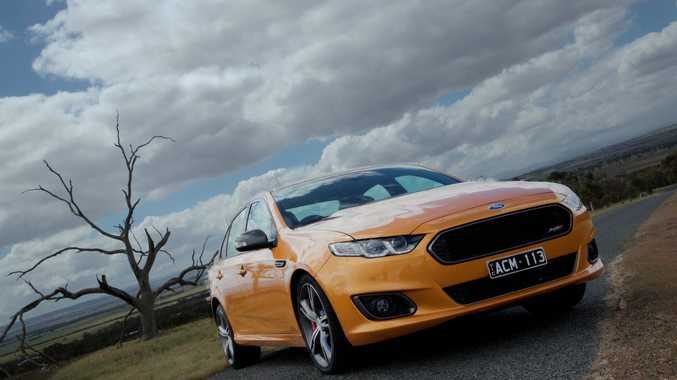 The Ford Falcon XR8 is the star of the FG X range. THE final chapter has been written in the illustrious Falcon story. But a new action-packed story is about to begin. 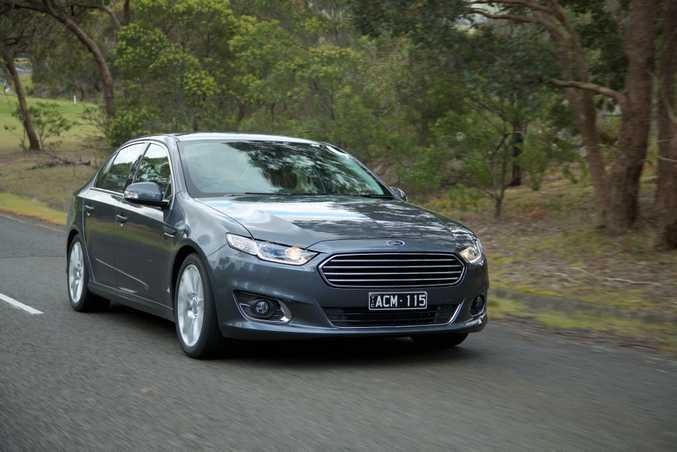 History was made this week when Ford launched its last Falcon range. Production will end in October, 2016. Proudly Australian-made for 50-odd years, model range FG X wears a new corporate face and welcomes back the XR8 nameplate. Accountants well and truly sharpened their pencils, with the base Falcon starting from $35,900, while nearly $10,000 has come off the G6E Turbo. But it's the $52,490 XR8 which has been grabbing all the early attention, and Ford admits it may have undercooked the numbers. While the Falcon sits in the departures lounge, poised to arrive next year is the new medium-size Mondeo, Everest SUV and the much-anticipated Mustang. 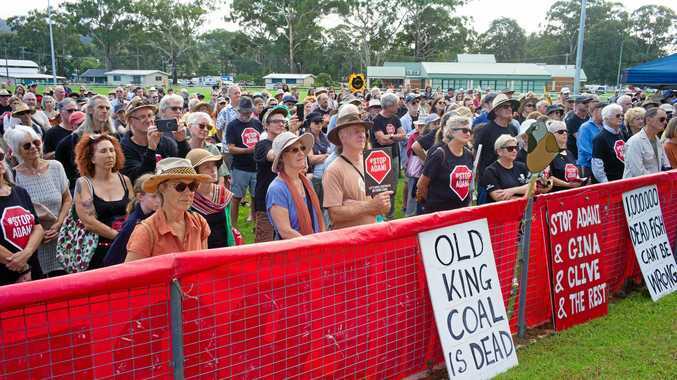 Yet this week proved there is plenty of life left in the old Aussie icon. And those wanting a slice of history and a hefty dose of old-school muscle won't be unhappy putting their hard-earned into a FG X.
Traversing some wide open spaces of rural Victoria, this was Falcon heartland. The cavernous cabin begs for a road trip. 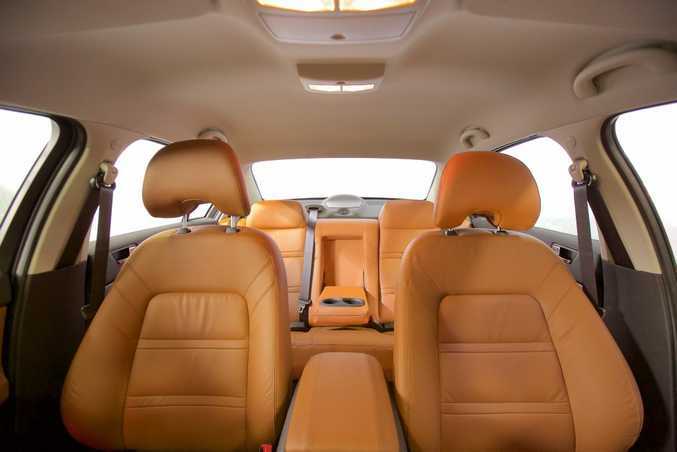 Five adults would have few issues finding enough space, with three across the bench seat a simple proposition. Soft touch materials are used in the places which matter most, although there are some hard plastics on the console and at the door bases, even on the up-spec variants. The driver has an uncluttered set-up. Two analogue instruments, tacho and speedo, flank a changeable digital screen. You can flick between trip computer information such as fuel tank range, average and instantaneous fuel consumption, although probably the best option is a digital speedo to keep a close eye on things - vital, especially in the turbo and XR8 variants. Status quo has remained across the drivetrains, with the spotlight firmly planted on an old friend. Ford has resurrected the XR8 nameplate, and dropped a tank-slapping 335 kilowatt Boss donk into the Falcon shell. And it's pure unadulterated fun. There was no better example of its ability than with traction control off and the wheels lit up, drifting around witches hats at Winton Raceway, steering the big sedan around an intricate motorkhana course with brute force from the rear end. Out on the open road and its punchy ability shone there too. Overtaking can be done within an instant, a jab of the throttle accompanied by your torso being shoehorned into the bucket seats. For those looking for something less aggressive, the straight six is still available, but anyone searching for an entry-level offering should look no further than the four-cylinder EcoBoost engine (at no extra cost). Many drivers would struggle to pick the difference between it and the six. Ride quality is good across the range, although the quietest is delivered by those riding on the smallest 16-inch wheels. Sync2 is the star attraction of the updated range. The 20.3cm touch-screen has four quadrants, broken up into phone, entertainment, climate and sat nav (for those models with GPS). This is one of the faster and easier to navigate systems we've used. It's also available for the first time with voice control. While it can seem like a gimmick initially, get used to voice-activated functionality and it can become a supremely useful tool. We've used other systems with similar ability, like being able to change the radio station, set the temperature, set a destination in the sat nav and call someone in your contact list, but the Sync2 can take things a step further. Say "I'm hungry" and it can give you a list of restaurants nearby or at your destination. You can then call them direct or set sail to the location via sat nav. Smart stuff. You can also turn off the often tedious voice guidance once you have the hang of things - operating everything without taking your hands off the steering wheel. Little has changed in specification terms, with Sync2 added across the line-up, along with front and rear parking sensors, supplementary to the likes of basics, including cruise control, air con, alloy wheels and five-star safety. The fruit improves the further you head up the tree, with the sporty XR6 and XR8s coming with larger alloy wheels, along with sports bumpers and rear spoiler, while the G6E gets all the luxury trinkets, like leather trim and softer suspension. All variants above XR6 come with sat nav. Fuel consumption has been reduced across the range, with the base six cylinder now achieving an average of nine litres for every 100km courtesy of aero gains and a new, lighter, Chinese-sourced six-speed ZF automatic transmission. The best of the range is the 2.0-litre four-cylinder with 8.0L/100km, while at the other end of the scale the XR8 slurps 13.6L/100km. Within the deep centre console there is a slot perfect for mobile phones, along with two USB ports, an SD card reader and an auxiliary jack. In front of the shifter are useful storage spots next to a 12-volt plug, perfect for keys and small electrical gear. Two cup holders are in the middle console and in the fold down arm rest in the back, while each door has space for a bottle. On the options list is a 1600kg tow pack for $550. You can spot the new Falcons via the bold smiling corporate grille. The sporty models have a honeycomb finish, while the luxury variants get chrome horizontal lines. Without doubt, the stand-out is the XR8, with its "power bulge" bonnet, quad pipes and unique shadow-line, five-spoke 19-inch by eight (front) and nine (rear) alloys. For nearly 55 years, the Ford Falcon has been a part of Australian psyche. While Ford is putting on a brave face, the launch of this final model is tinged with sadness. But the local engineering team will continue making its mark on the automotive landscape, not just here but globally, and they can stand proud of this final range. The Ford Falcon FG X. What we liked: Old-school muscle in the XR8, impressive performance from four-cylinder derivative, tech features, prices. What we'd like to see: Safety gizmos like blind spot warning and radar cruise control, more throaty soundtrack in the cabin on XR8. Warranty and servicing: Three-year/100,000km warranty with an option to extend for the same period. Capped price servicing covers seven years or 135,000km. Intervals are annual or 15,000km. Costs vary depending on engine, but expect between $245-$380 per visit - with a spike at 90,000km. Sedan: Falcon (a) $35,900; Falcon EcoBoost (a) $35,900; XR6 (m) $35,590; XR6 (a) $39,790; XR6 Turbo (m) $42,990); XR6 Turbo (a) $45,190; G6E (a) $40,110; G6E Turbo (a) $46,550; XR8 (m) $52,490; XR8 (a) $54,690. Ute: Falcon C/C (a) $29,390; Falcon SSB (a) $29,790; XR6 C/C (a) $32,140; XR6 SSB (a) $32,640; XR6 Turbo SSB (a) $39,810.